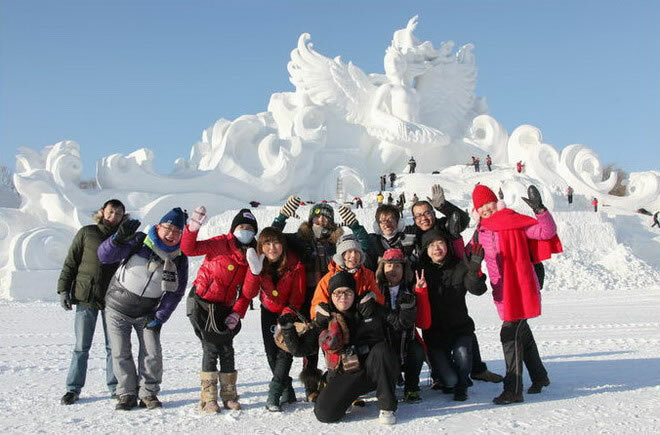 Friends from the south of China cheered to dump in front of the large snow sculpture. 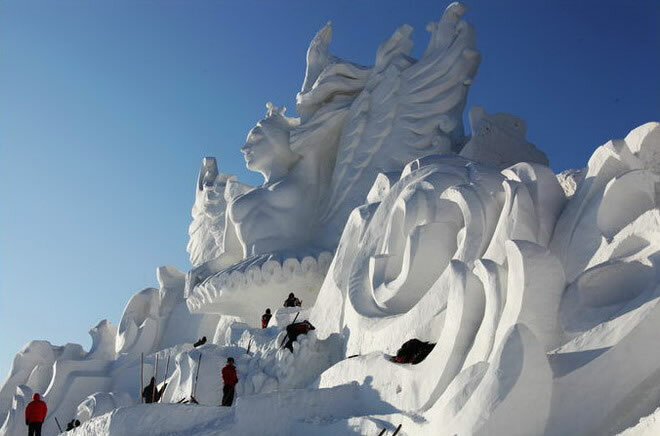 The world’s largest snow sculpture “Swan Girl” stretch its wing: the body length 27 meters, with 24 meters long wings. 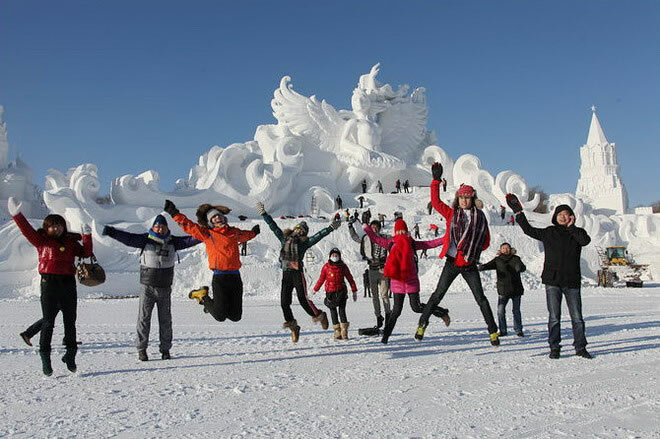 Do you have the feeling of snow-capped mountains, although the angle is a little bit exaggerated, it really can be called the snow-capped mountains regarding its height. 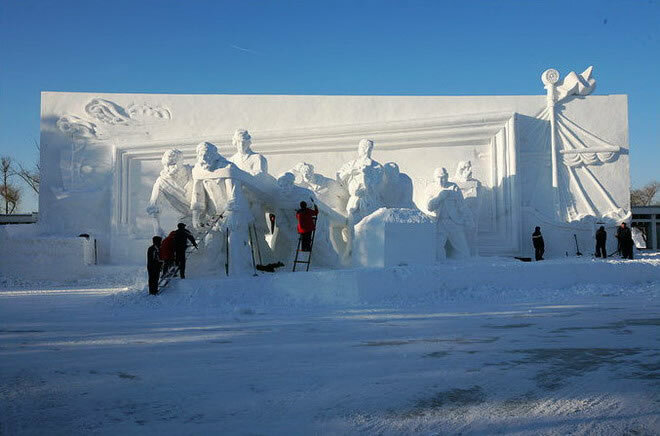 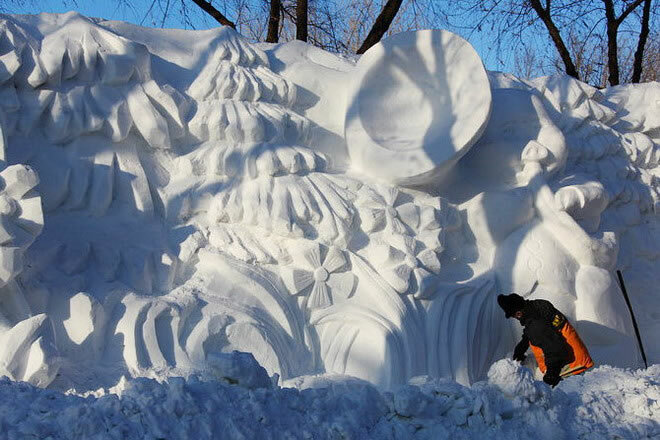 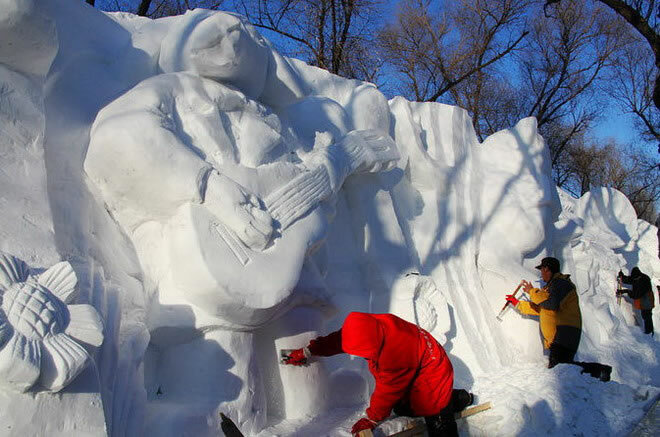 One of the highlights of the Ice and Snow Festival in Harbin is the snow sculpture exhibition in Sun Island Park. 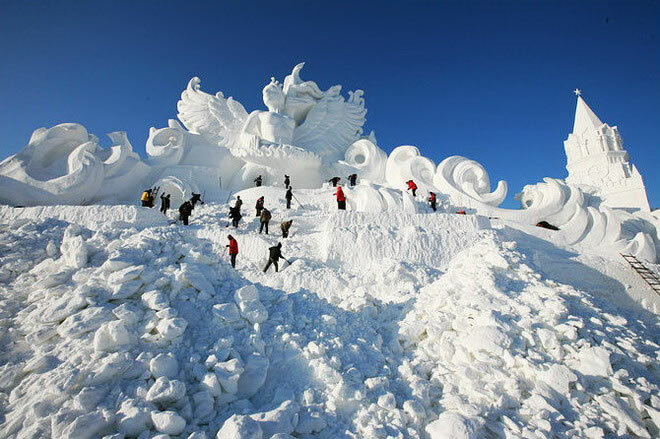 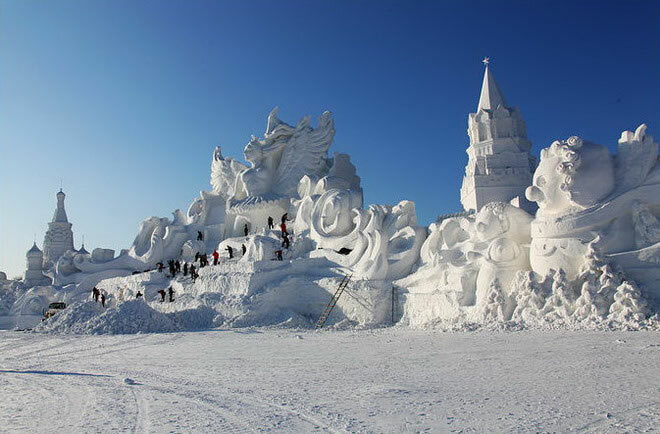 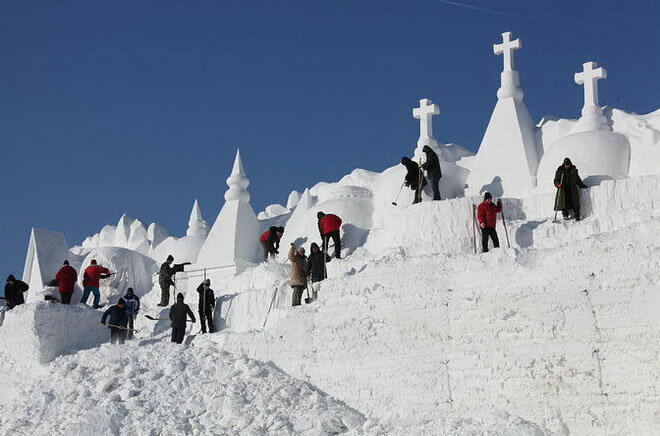 Last week, we went to the Sun Island Park, the height of this snow sculpture is equivalent to nine storeys. 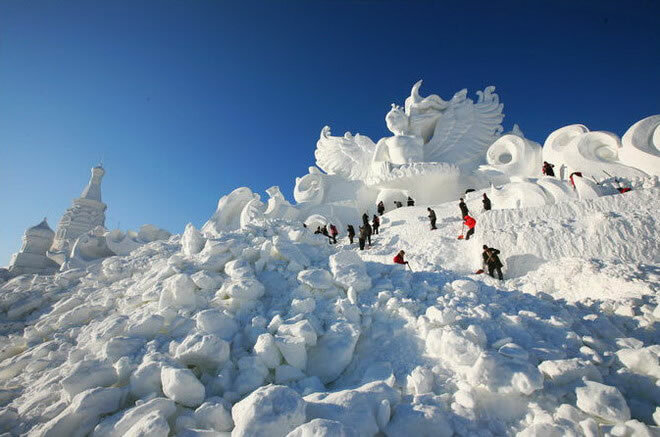 Blue sky and white snow, so pure, so beautiful, and so majestic! 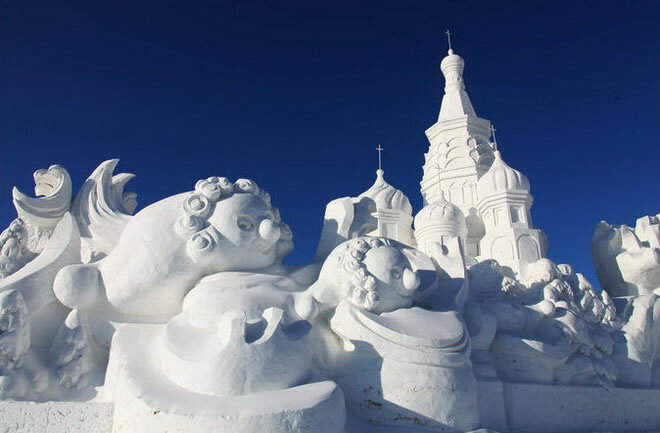 It is the unique landscape of Harbin, and also a miracle created by the Harbin people. 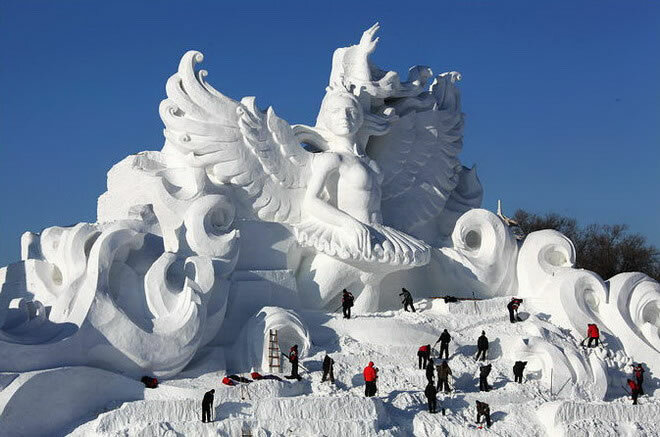 The large main sculpture, length 126 m, integrated with exaggerated sculptures in the Russian and the famous Sheng Waxi church, Spartak tower and the beautiful legend of Swan Lake, decorating the Sun Island into a fairy world. 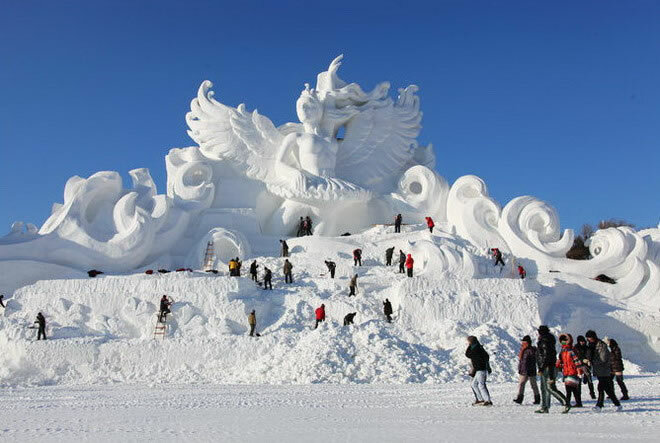 Swan Girl is the world's largest single snow sculpture works at present. 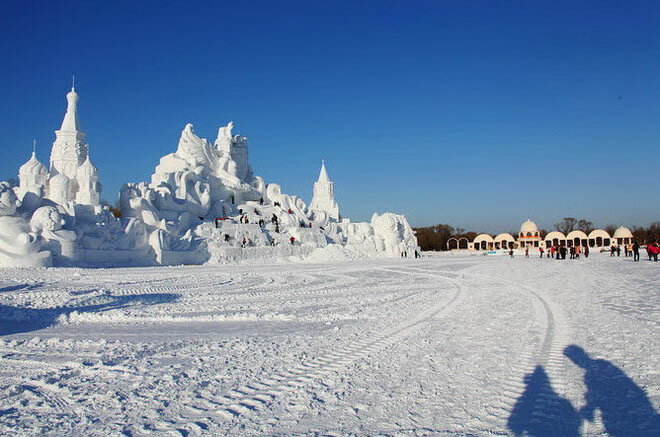 Hello, Harbin! 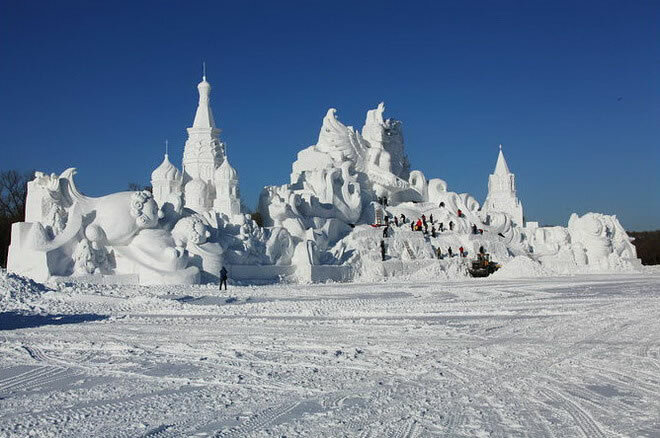 Wonderful, snow exhibition! 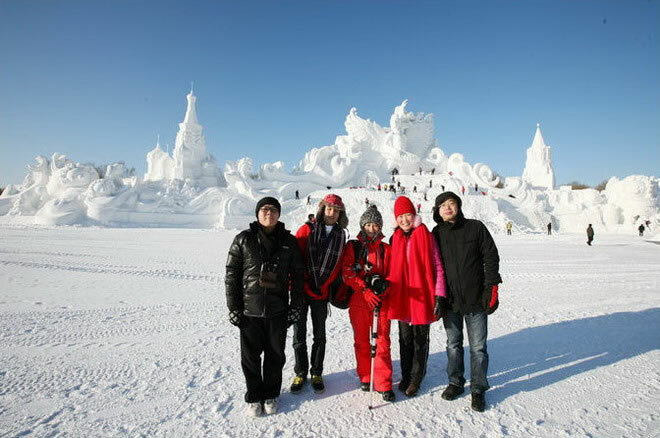 We wandered in the Sun Island in this bright and cold day! 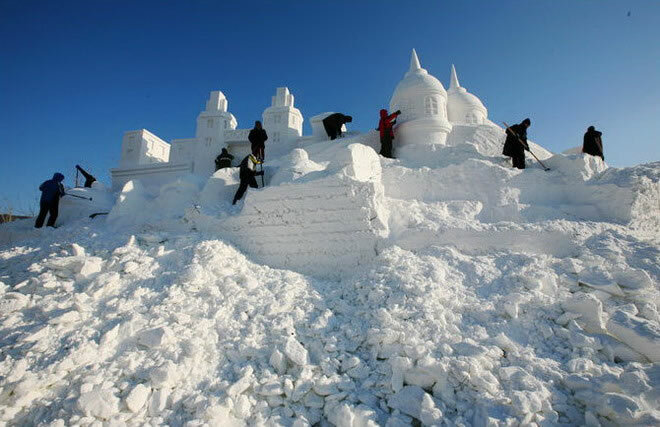 To Be Healthy! 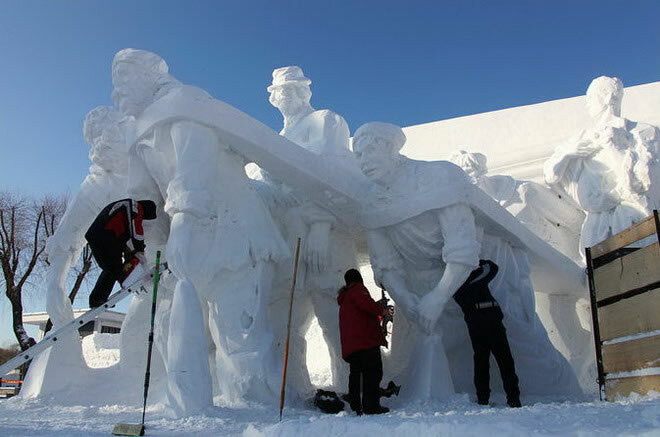 Slow Life!